Nadine Sekerez loves to express herself an artist and musician, but she’s just as passionate about showcasing other people’s talents. 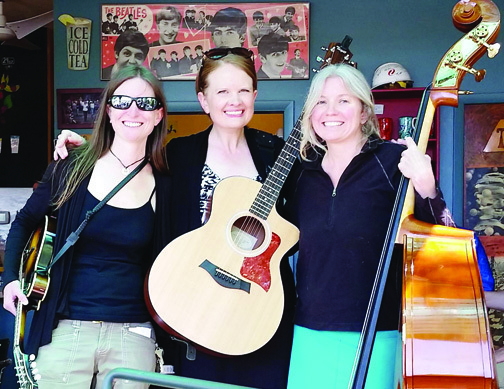 The Estes Park resident—and half of duo Dahlby and Nadine—not only organizes the town’s annual mid-summer SnowyGrass Bluegrass Music Festival, but produces other local events with her company Upstream Enterprises. Her latest effort to help grow the mountain town’s live music scene is the monthly Upstream Concert Series at the 225-seat Historic Park Theater. 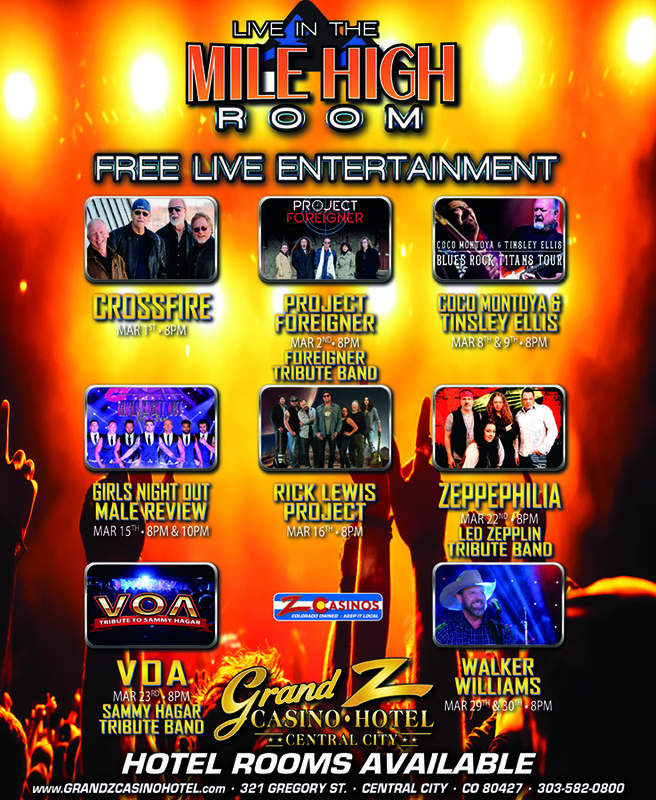 Ticket prices for each event will vary, but Sekerez plans to contribute $5 of every ticket and 20 percent of corporate sponsorships to a local cause or non-profit. The intimate theater, which has a full bar, provides the perfect setting for the Colorado acoustic bands on the series’ January-June line-up including Meadow Mountain and Ran Off the Rooster, which things kick off, Jan. 19 at 7 p.m. Known for its intricately arranged, soaring instrumentals and hard-driving, traditional bluegrass music, Meadow Mountain is on the forefront of a musical movement born from a desire to “understand one’s roots and why one makes the music that they make.” The band, comprised of five best friends, explores traditions of Swedish fiddle music, acoustic jazz, old-time, and classical, and their original music is steeped in heartbreak and mountain breezes. 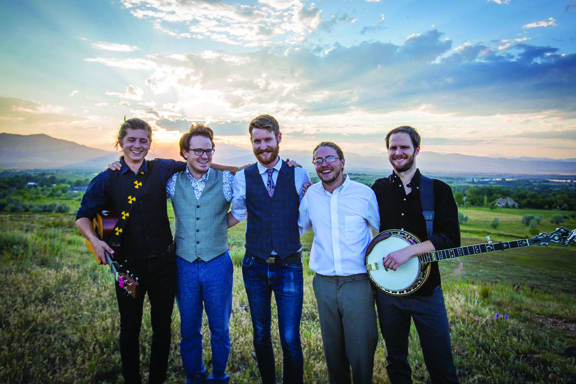 Their live shows are becoming increasingly popular after winning the 2017 RockyGrass band competition. Estes Park-based Ran Off the Rooster is a “women-powered string band playing high energy country Americana with rich harmonies and a double shot of soul.” Combining diverse musical backgrounds, bluegrass instrumentation, and a fun-driving attitude, these talented musicians are best known for their original song choices, creative arrangements, and killer three part harmonies. Good friends on and off the stage, these ladies know how to have a good time and will captivate the audience with their music, humor, and charm. Tickets to the Jan. 19 show are $30 in advance or $35 at the door. Reserved VIP tickets are $45 in advance only. A portion of ticket sales and sponsorships will be donated to the Quinn Brett recovery fund (see page 8). The second show in the series, Feb. 9 at 7 p.m., is billed as a “Night of Latin Dance and Grass” and features all Nederland-area musicians the acts ONDA, Bridget Law & Silas Herman, and Hattie & Hayley. A fusion taco bar is included. Nederland’s ONDA performs a mix of Latin and Afro-Cuban grooves blended with funk, cumbias, salsa and bluegrass. Its “Latin Grass” style has produced epic jam sessions and critical acclaim. Bridget Law is known for her fiddle work with Elephant Revival while mandolin player Silas Herman is the co-founder of Gipsy Moon. Tickets go on sale soon. Advance tickets will be $45 and $50 at the door. The Historic Park Theater is located at 130 Moraine Ave. in Estes Park. Visit historicparktheatre.com for additional details and advance ticket sales. Follow Upstream Enterprises events on Facebook at @estesparkevents. Tags: Historic Park Theater, Meadow Mountain, Nadine Sekerez, Ran off the Rooster, Upstream Concert Series, Upstream Enterprises. Bookmark the permalink.